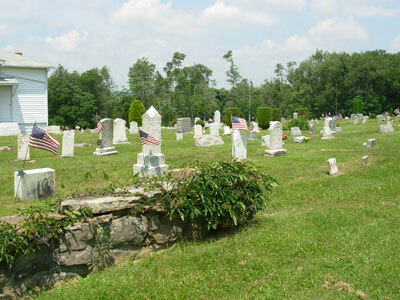 This cemetery is located approximately a quarter mile west of the intersection of Rt. 422 & Rt. 271 North, behind the church.